One of the most amazing aspects of this magical series of games is that they have created an entire world that almost accurately mimics our own, even down to entertaining tunes and banter to listen to while driving. For any game with as much radio content as these ones do, it would be criminal to leave the king of dirty talk radio out of the game. Of course, Howard Stern has boundaries, while Martin Serious almost seems like he doesn’t. Serious has done unspeakable things on his show, including throwing urinal cakes at people and feeding people with mental disabilities street drugs. 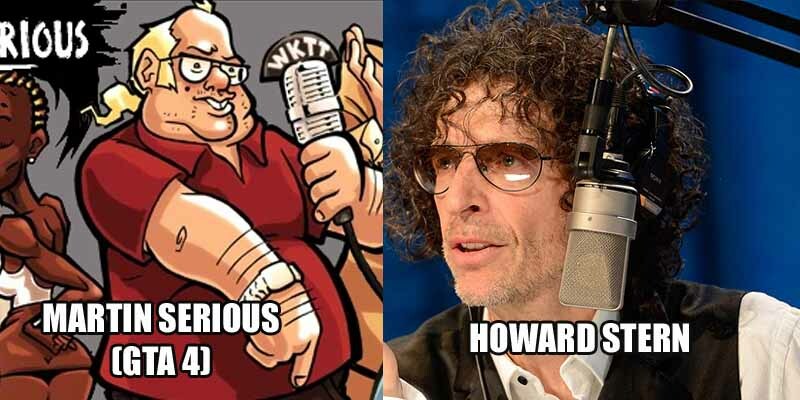 He’s truly hilarious, but we have to wonder, is this insulting to Howard Stern or would he be honored by this brilliant parody?